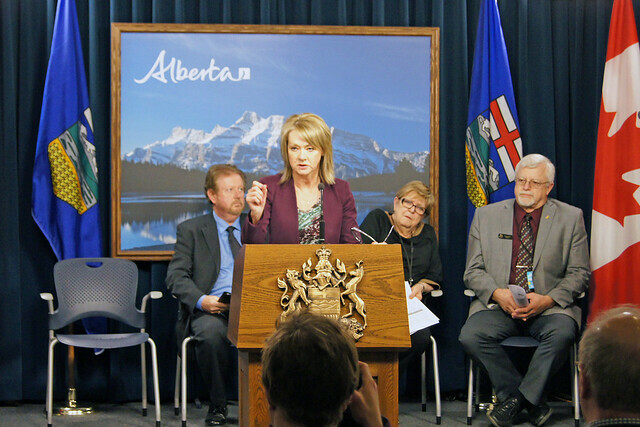 The Government of Alberta has tabled amendments to the Municipal Government Act (MGA) to better serve Alberta’s municipalities. The proposed legislation represents consensus items that were identified by the Government of Alberta and its municipal partners, during the extensive MGA review process. If the Bill is passed by members of the Legislative Assembly, the MGA review will have entered the second phase of the process, as laid out in Memorandum of Understanding (MOU) signed in January by Premier Jim Prentice, Minister McQueen and the presidents of the Alberta Urban Municipalities Association (AUMA) and the Alberta Association of Municipal Districts and Counties (AAMDC). The last major consolidation of the MGA took place in 1995, after nearly 10 years of review. The current MGA review began in 2012 and has involved input from more than 1,200 written submissions, and more than 1,500 people at 77 community meetings. The government and its municipal partners – including AUMA, AAMDC, and the cities of Edmonton and Calgary – will participate in regularly scheduled roundtable discussions as the MGA review continues. Other stakeholders, such as industry representatives, will be invited to discussions when appropriate. As planned with municipal partners, another round of legislative amendments is expected in fall 2015, and proclamation of all updates to the MGA is expected by the end of 2016. Policy areas for discussion include: provincial-municipal relations; accountability and transparency; governance; municipal viability; regional decision-making; municipal revenues; property assessment and taxation; and growth management. For a detailed look at proposed changes introduced in the Assembly, visit mgareview.alberta.ca/whats-changing.